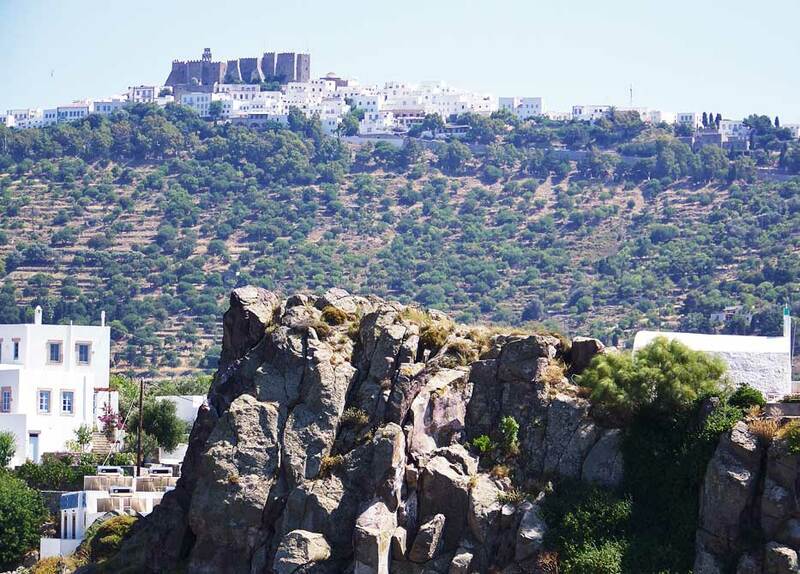 Our Aegean cruise stopped for a few hours at Patmos. 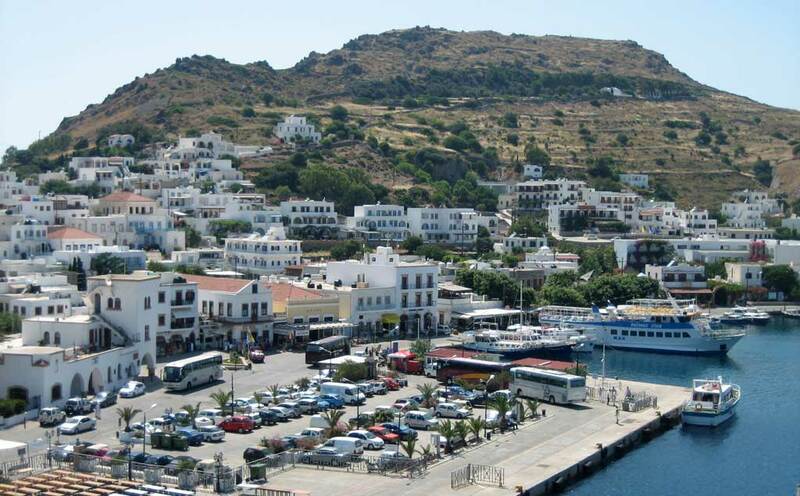 We decided to make our Patmos Visit a leisurely one at the Port and the beach with the locals. Greeks call the port the Skala. The main town is located on a hillside above the port. 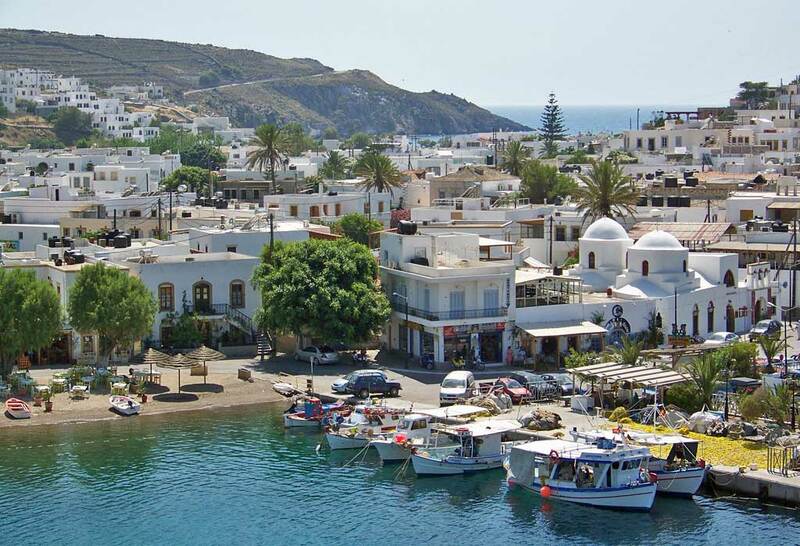 Greeks call any small town like this the Chora. 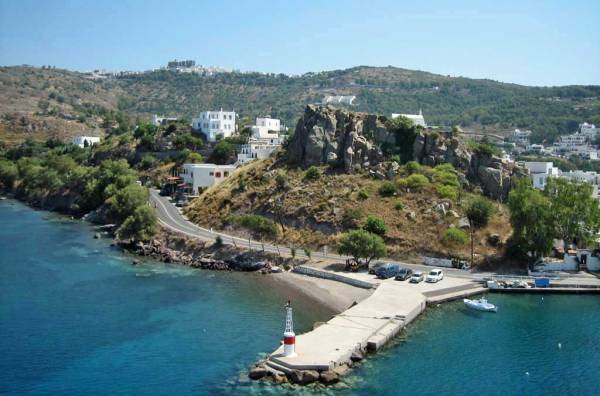 About 3,000 people live in Patmos. 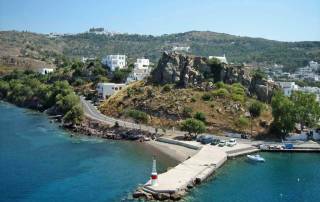 The small island of Patmos is in the Dodecanese chain of Aegean Islands very close to Turkey. The cruise ship offered a shore excursion to the Monastery of St John during the Patmos Visit. The Monastery of St John the Theologian (Fortress of Patmos) sits on the hill overlooking the harbor. John the Apostle is said to have written the book of Revelation here. On the way up the hill, you can stop at the Cave of the Apocalypse, where St John received the Revelation. The Monastery of St John looks like an imposing ancient fortress when viewed from the harbor below. The monastery is in the main town or Chora. Patmos weather in summer can be quite hot. The warm dry Patmos weather in June and July makes it a popular stop for Aegean Island cruises. 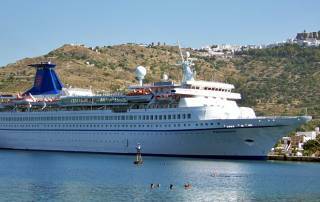 Winter temperatures get quite cool, so cruise ships stop their Patmos visits at the end of summer. Spending time at the local beach for pleasant views. The string bikini is popular here. 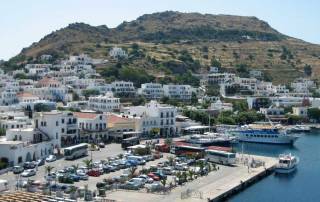 You will need to get to a Patmos Visit by Sea, because the island is too small for an airport. The isolation for a Patmos visit helps to greatly reduce the number of tourists. 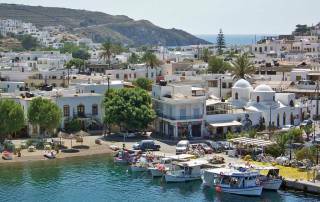 Patmos is an authentic small town. 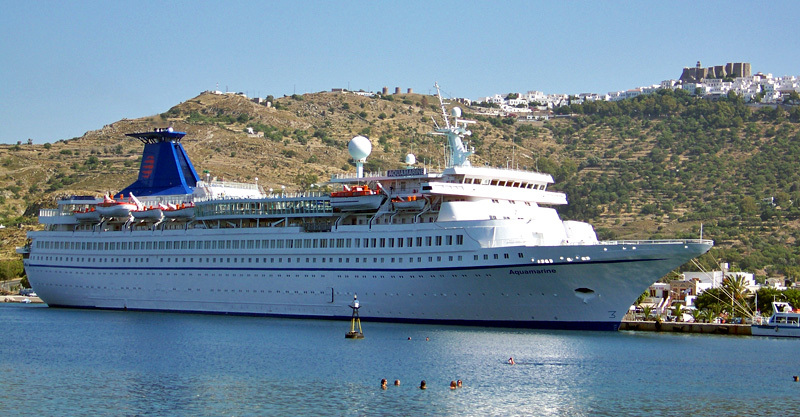 Most visitors arrive by sea on a cruise ship, but there is regular ferry service to Athens. The ferry ride to Athens can take between 7 and 10 hours one way. Try Blue Star Ferries for information by sea ferries. Dodekanisos Seaways provides ferries to many local islands too, including Rhodes. 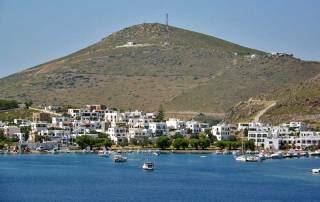 So, instead of making a Patmos visit by sea on a cruise ship, you can plan a series of small ferries through the Aegean Islands instead.